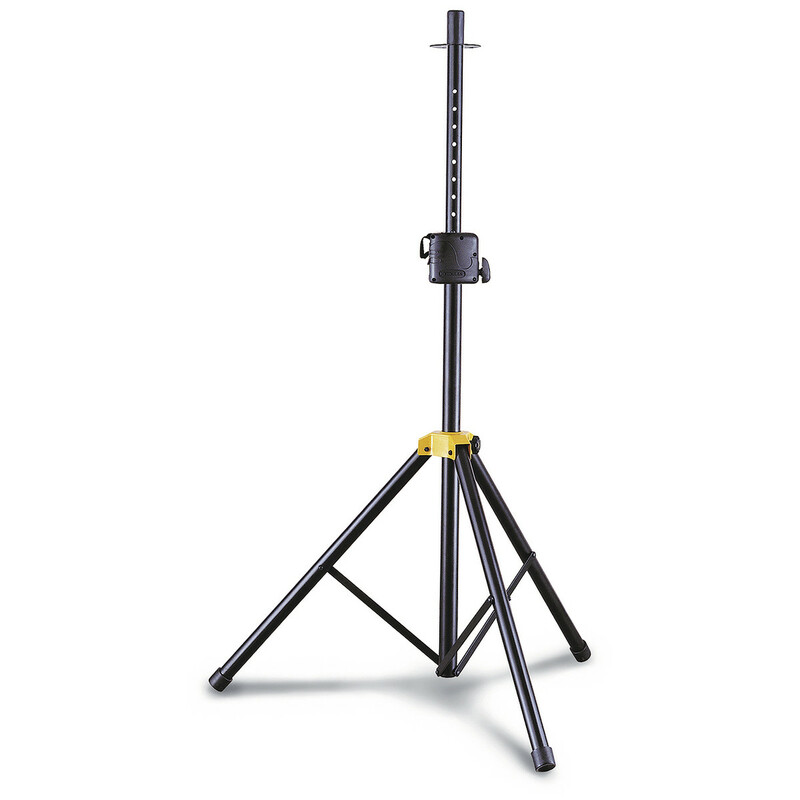 The SS400B AutoLock Speaker Stand from Hercules is the perfect stand if you're looking for portability, durability and sturdiness. Featuring the Quik-N-EZ Autolock, the patented design ensures that once you've turned the Autolock to the 'lock' position, the speaker will remain in your preferred setting and not slide back when raised up to height. There is also a safety pin for extra security, so that when loaded it ensures that the knob stays in the lock position. The lower shaft's edge is designed with a beveled edge for loud bearing and reinforcement which provides extra support and stability. 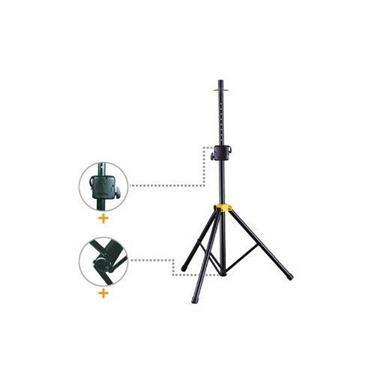 The stand is made from aliminium tubing which gives it both strength and lightness and the tripod legs promise maximum sturdiness. The stand also folds up for easy transportation. Folded size: 45.8" x 6" x 5"